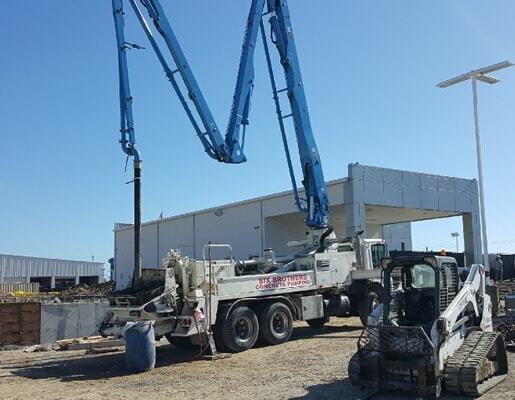 Call us at 713-489-7862 if you need concrete in hard to reach areas like this elevated area in south Houston job. 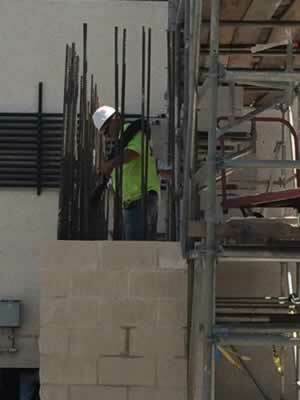 In many cases, it is required to pump grout to fill concrete blocks in block walls built by masons. Here are pictures of Six Brothers pumping grout which is filling the spaces in concrete blocks. As you would guess, the walls are much higher than ground level, meaning the material had to be pumped to an elevation much higher that the concrete truck.